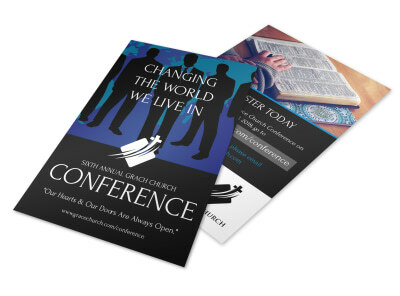 Customize our 4th Annual Grace Church Conference Flyer Template and more! 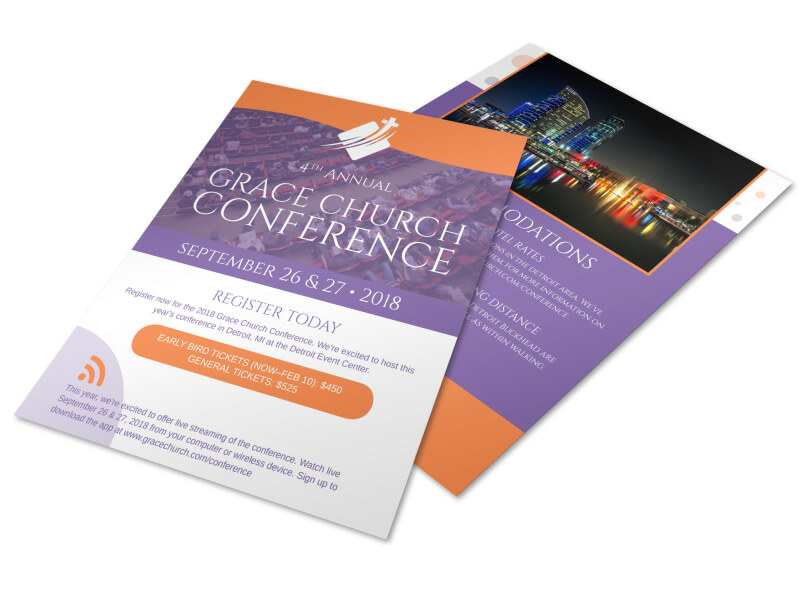 See an uptick in attendance for this year's conference with annual church conference flyers customized using our editor and templates. Make your flyer stand out with the perfect color theme, catchy images and text, and more. 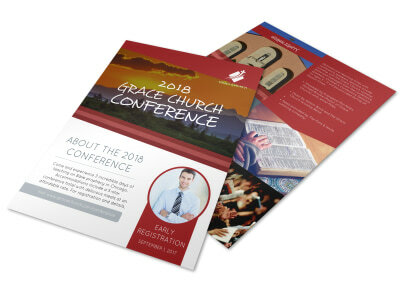 Print your flyer from your church administrative office or leave the printing to our experts so you can focus on spreading your message of faith.